The world is changing and fast. Think of how often you see young children playing games or watching videos on tablets or smartphones, and it’s easy to forget how comparatively recently we had to leave the house to make a phone call or visit a neighbour to watch TV. The children of the 2010s are the first to have grown up with smart technology in their hands. This proliferation of touch-screen technology is all the more remarkable when we consider that the first iPad didn’t even roll off the production line until 2010. That makes predicting what big developments could emerge this year, never mind in the next decade, is an impossible task. What we do know is that there’s no turning back the clock. Every generation is going to be more at one with technology than its predecessor. There are children who get to grips with basic programming by the age of 10 in a way that their grandparents never will. In fact, when accessing digital content, I feel too often how my gran must have felt trying to operate the video player. In many ways we don’t know what the future will hold – but I believe that we have a duty to children to make sure they are ready for it. As you would expect, I would hope that children who are born or are growing up in the 2020s do so under a Labour government. A Labour government would end the austerity agenda that has dominated the 2010s, giving us the chance to improve health and education, while ensuring poverty falls. We will implement an ambitious early years policy overhaul that aims to improve life chances for children of future generations. The brain of a child develops rapidly in the first few years of life. We know that if children arrive at their first day of school significantly less developed than their peers, they may never catch up. Research has shown that this attainment gap, and its impact on social mobility, is one that the country cannot afford to ignore. Instead, we’re going to invest heavily in providing 30 free hours of childcare for children aged between two and four years old. You may be thinking that this is something the Conservative government has already introduced. Well, although ministers try to boast of a success, there are fundamental differences between what the Tories are offering and what we will deliver. The first is that under the Conservatives, 30 hours of free childcare are restricted to three and four-year-olds. And even then, it is only available to the children of parents who work at least 16 hours per week and earn up to a maximum of £100,000 per year. This creates all sorts of problems. What about the increasing number of parents who are employed on zero-hour contracts, or those who work in the gig-economy? That’s why it’s our belief that, through a National Education Service, education should be free at the point of use. We’re going to make universally available early education a fundamental part of our offer, and extend it to two-year-olds. Every child will be able to access properly funded, high-quality hours in a childcare or early education setting for free. There are lots of good reasons to do this. For one, childcare is expensive, as we all know. And this is where a responsible government needs to step in. What the current government does is provide an hourly funding rate, which just about everyone – nurseries, campaigners and think tanks – has called out as being too low. Even the Treasury select committee has suggested raising funding settlements. Instead, Labour would see early years as an investment in children and workers. A combination of forces means that working in early years and childcare is one of the lowest paid sectors in our economy. I want to bring those wages up. We will do this by creating a graduate-led workforce, increasing training opportunities and getting the best out of apprenticeships. But the truth is that at the heart of our decision making is what is best for children – and we know it’s a long-term game. That’s why I believe it’s important that we focus now on what happens in early years, what we’re teaching children and whether it prepares them for the rest of their lives. Teachers tell me of their concerns about mental health and signs of stress in very young children. We have to nip this in the bud, supporting teachers and early years educators to deal with issues of anxiety and ensure joy in childhood. With AI potentially taking a substantial number of jobs in the future, creativity, confidence, articulacy and entrepreneurship will be invaluable skills for an emerging workforce. And while settings focus on children, a Labour government will rejuvenate Sure Start, encouraging and emboldening parents to develop an exciting and nurturing home environment to support their children’s education. The world is uncertain, but our children deserve every opportunity. A Labour government will ensure every child in the 2020s can fulfil their true potential through quality, creative, supportive early years education. 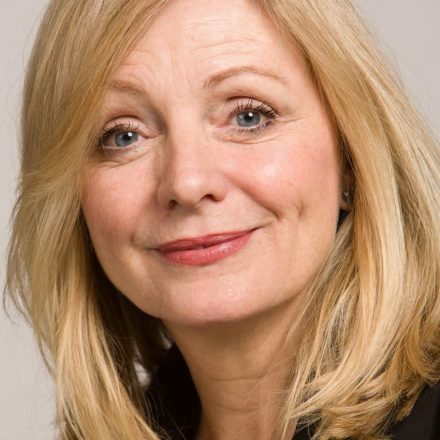 Tracy Brabin is Labour MP for Batley and Spen and shadow minister for early years. This essay is taken from Growing Up in the 2020s, a new Fabian Society report sponsored by NASUWT.